Healthy habits start early. Get your little ones on the right track with Fresh Baby! Fresh Baby offers an exciting array of creative, educational products to help parents ensure that their kids are off to a healthy start in life. Targeted for children, Fresh Baby helps combat childhood obesity, a growing problem in the US. 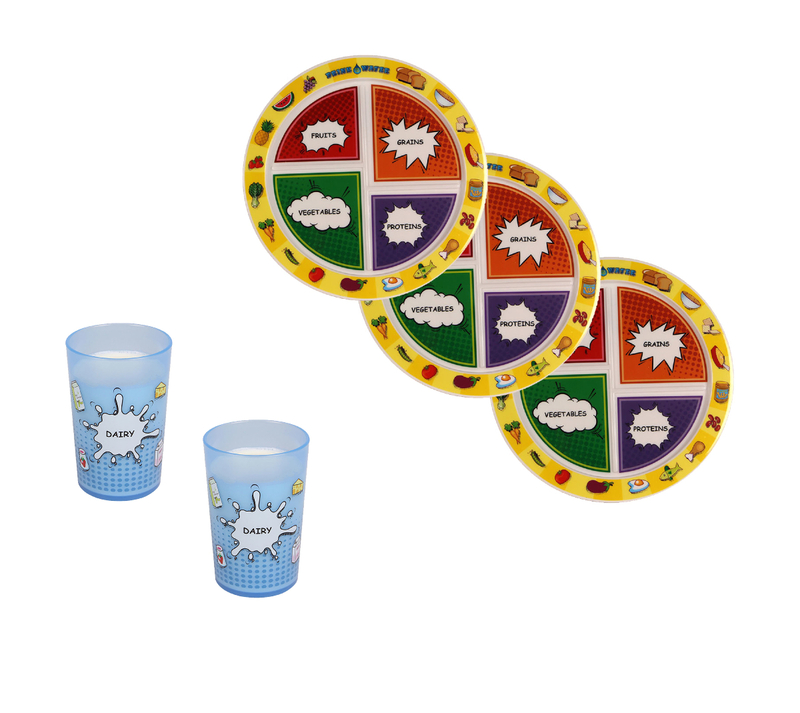 Fresh Baby’s Drink Up MyPlate Comic Book Design has 4 divided marks (not sections) that are appropriately sized portion compartments for fruits, vegetables, grains and proteins. The illustrations are a healthy reminder to eat a variety of foods! Fresh Baby’s 8-Oz MyPlate Dairy Cup Comic Book Design has an 8-oz fill lines and is transparent blue that makes filling easy.